It’s time to celebrate the harvest! This is a great month to connect with some of the family-owned farms around the Fredericksburg region, as they open their doors to the public with hayrides, pumpkin patches, games, slides, food, craft beverages and much more. 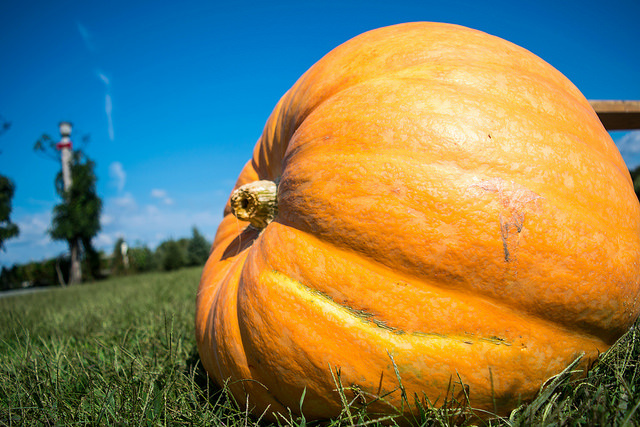 Fall festivals are an important revenue source for many area farms. When you enjoy those spring asparagus spears or June blueberries, you can think back to your October hayride and know that it played a part in making that local food possible. In the kitchen, roasted winter squashes and soups filled with greens and other goodies cast a cozy vibe as the weather begins to cool. What’s in season this month in Fredericksburg? Apples, broccoli, carrots, cucumbers, grapes, green beans, green peppers, spinach and other greens, pumpkins, raspberries, squash, tomatoes, sweet potatoes. Downeast Maine Pumpkin Bread – This is my all-time favorite pumpkin bread recipe. Note that you can use roasted pureed butternut squash interchangeably with pumpkin. Use 2 cups homemade puree in place of the one can pumpkin listed here.